Vang Norway: What I learned from the materials from Helen Lodmill. 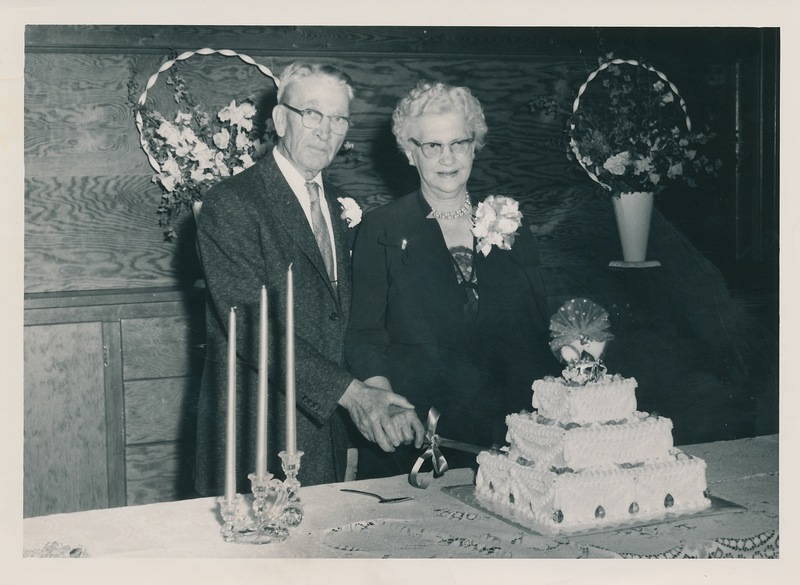 In 1957 Carl and Ellen Bonde celebrated their 50th wedding anniversary at the “Hacienda” in Kalispell. About 40 people stayed at their house for the occasion. I read some of the family history supplied by Helen Lodmill and this is what I got. The Bundes or Bondes or Bondys come from a line that included a Norwegian knight and a king “with fair hair” back about 1500 years. I’m thinking, “yeah right!” On the other hand, most of us have some sort of big shot in our family tree we want to claim. Also some little shots we want to forget. In Vang, Norway, in the early 1800s, first husband Thorstein Bunde and my great-great grandmother Berit Olsdotter Egge married and had 4 children. [One of these, Kari, was Thorstein Veblen’s mother.] In a few years Thorstein got into some sort of financial trouble from “costly litigation” and ended up having to sell his farm, only he provided my g-g-grandma Berit with an annuity and a house on the farm that he sold off for the large sum of $400 specie. Then he left town. Alone. Thorstein went to Lillehammer to start a new life, but died there at age 35. Five years later Berit married my great-great grandfather Einar Halvorson Groven, a poor farmer, and because they lived on the old Bonde farm, Einer and Berit both took/kept the last name Bonde (she for the 2nd time). (Apparently that was the practice in those days, to take the name of the farm where you lived.) They emigrated to the USA and had five children of which two survived to adulthood, including Tosten, my great-grandfather, who ended up building the stone farm house near Nerstrand. Tosten married my great-grandmother Ingebor Haugen. They had 11 children, born in the stone house, but only 7 survived. The youngest was Alfred, then Carl, my grandfather. The oldest was Oscar, who stayed on the farm. My grandpa Carl married Ellen Wichstrom in North Dakota. They were living in Buffalo, Montana, when my mother was born upstairs from a dry goods store. My mother married a journalist/teacher named Robert P. Struckman from Big Timber, Montana, and I was born in 1949 in Missoula while he taught at the University of Montana. He died when I was four, so my mother taught elementary school in Missoula, and later at Western Montana College. A poor student, I dropped out of college and I served in the Marine Corps. I finished a degree in pharmacy and served in the Commissioned Corps of the US Public Health Service before retiring in 2005. I married Penny Meakins when I was still a private in the US Marine Corps and we had three children, Todd Jacob, Robert Joseph, and Clara Ellen. Todd married Susanna Gaunt and they have two sons: Cyrus and Roland. Robert married Heather Corson and they have a son Josiah and a daughter Olivia. Clara married Brian Roberts and they have three children: Henry, Beatrice, and George. Scottsdale, Arizona. She was born in Faribault, Minnesota. She graduated from the University of Minnesota and became a registered nurse. She moved to Arizona in 1952. She was a member of Ascension Lutheran Church. Corinne was known as ‘Nanny’ to all of her much loved family. She was preceded in death by husbands Kenneth Fosston and Norman Samuelson. After marrying ‘Sam’ they lived in Toledo, Ohio and wintered in Arizona. Corinne is survived by daughters Pat Weide (Marvin), Scottsdale, Mary Alexson, Newport Beach, California, Kay Bork (Jim), Toledo, Ohio, son Don Samuelson (Carol), Defiance, Ohio; 11 grandchildren and 20 great-grandchildren. A memorial service will be held Monday, July 26th at 11:00 AM at Ascension Lutheran Church, 7100 North Mockingbird Lane, Town of Paradise Valley. The interment will be private. The family suggests tributes to Ascension Lutheran Church or Christian Family Care, 3603 North 7th Avenue, Phoenix, 85013. « Carl Ralph Bonde, Jr., subject of this blog.